Please welcome Kevin A. Muñoz to The Qwillery as part of the 2019 Debut Author Challenge Interviews. The Post was published on January 15, 2019 by Diversion Books. Kevin: The first fiction piece I remember writing and completing and actually making an effort at doing well was something I did in elementary school. We were supposed to write short stories - two hundred words or so, because we were kids - once a week, I think it was. Well, I couldn’t do that. So over the course of three months I ended up writing a twelve-part, twenty-four hundred word serialized Gothic short story about an old man living in a French castle suffering from loneliness and hallucinations. It did not go over well. Kevin: I’m not sure how to describe my process. What I usually do is come up with a general idea, then a beginning and an ending. After that I go through my huge film soundtrack collection and put together a soundtrack of my novel, using that as inspiration to find the story beats and the spine of the plot. After that, I start writing, aiming for those beats in the soundtrack. I think I do it this way because I really hate writing outlines, but I also don’t like just winging it. Kevin: The most challenging thing would probably be keeping my momentum up. I am a terrible procrastinator. I’ll start work on a new project, or a rewrite, and sail full steam ahead for a long while and then sort of sputter to a stop. After that, I get what I call “writer’s blah” and just can’t be bothered to keep writing. I’m not blocked, I have the ideas, I’m just... over it. Then I have to find my motivation again. Kevin: Music is the biggest day to day influence on my writing. I can’t write without it. But more broadly, I think it would have to be my weird collection of life experiences. I’ve lived all over the U.S. and known all sorts of people and places. I try to paint with that eclectic palette as much as I can. TQ: Describe The Post using only 5 words. Kevin: The best quick synopsis I’ve seen is one I didn’t come up with: dystopian mystery thriller with zombies. I used to jokingly call the book my zombie detective novel, but that’s not really accurate, since there are no zombie detectives in it. TQ: Tell us something about The Post that is not found in the book description. Kevin: There is a revelation about halfway through the book that, I hope, will raise questions for readers about the kinds of assumptions they make when reading. To say much more than that would give it away, so I’ll leave it at that! TQ: What inspired you to write The Post? Kevin: Most of my prior writing has been science fiction or fantasy. I’d never really taken a stab at the horror genre, or anything next door to it. The Post came about because I wanted to challenge myself and write a story that ignores some of the conventions and boundaries that usually go along with the genre. TQ: What sort of research did you do for The Post? Kevin: I mainly did research in two areas. First was in virology, at least enough to let me achieve verisimilitude in how I portray the virus that leads to the apocalypse. There are outlandish elements to make the story work, but I tried to put in as much real biology as I could. The second was a bit more mundane, and involved writing with Google Maps open in a separate window. I made a concerted effort to ground the story in the real geography of Georgia, down to the silliest of details, like the angles of certain street corners in Athens. 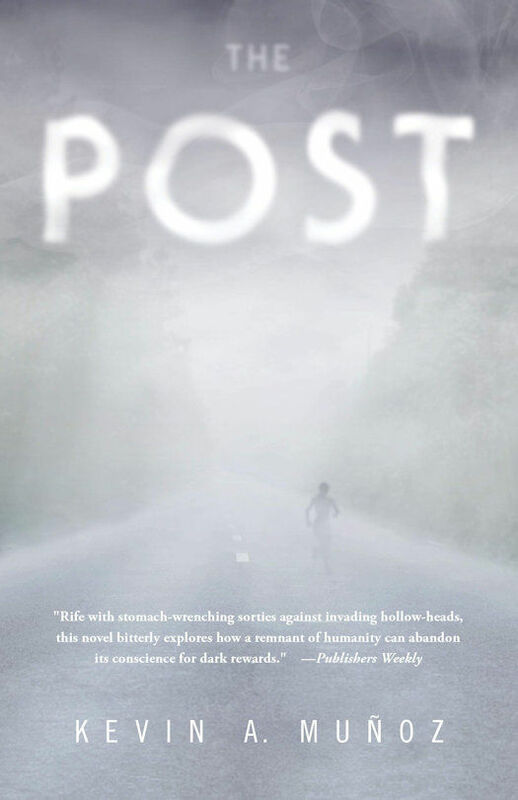 TQ: Please tell us about the cover for The Post. Kevin: The idea for the cover came from the publisher and I immediately loved it. They wanted to give the feel of a thriller, of emptiness and solitude and anxiety, and the artist did a fantastic job. There is a scene in the novel that matches up fairly well with the cover but it’s really more about a feeling, a sense of dread, that makes it the right cover for the book. TQ: In The Post who was the easiest character to write and why? The hardest and why? Kevin: The easiest character to write was Marilyn Trainor. She serves as the moral center, the conscience, of the whole story. The hardest was Chief Edison. A main character and narrator who has to be emotionally closed off takes a lot of delicate balancing to get right. Too much emotion and you get the character all wrong. Too little and no one wants to keep reading. TQ: Does The Post touch on any social issues? Kevin: It does touch on social issues, but to say much more than that would spoil some of the mystery! TQ: Which question about The Post do you wish someone would ask? Ask it and answer it! TQ: Give us one or two of your favorite non-spoilery quotes from The Post. Kevin: The very next thing is a sequel to The Post. I’ve plotted out the story as a trilogy, and I’m in the middle of editing my early drafts of the second book. And after that I have a long line of projects to work on. I’ve got ideas to last me for years! Kevin: Thank you for the great questions! Kevin A. Muñoz earned his Ph.D. in New Testament studies at Emory University in Atlanta, Georgia. 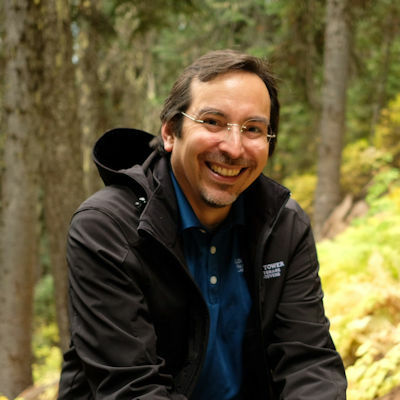 He has been a game designer, language instructor, and adjunct professor, and now is following the path of his father as a published novelist.